For regular orders: Please allow up to 6 days for processing your order (including expedited orders). For group/bulk orders: Use the button below to indicate your order request, and you will be contacted with further information and instructions. Please allow three weeks from the time the order is placed until the time the materials are needed. Many of our materials are print on demand, which adds additional time for print production. In addition, we normally ship USPS media mail, which is estimated to take up to 10 days for delivery. For international orders: Please contact us at info@thistlebend.org. We do not offer an international shipping option at this time, but will consider each request on a case by case basis. We will reply with further options and/or instructions. Divorce statistics are heartbreaking. Marriage, as the Lord defines it, is under attack. Couples in our churches are hurting. In Falling In Love Again With Your Husband, wives learn what they were created for, how to fulfill their God-given role, and how to silence the lies that can destroy their marriage and cripple their oneness with the Lord. The world throws out plenty of suggestions for women in their marriages, even those that “seem” right. This much-needed study leads women to the truth in God’s Word to seek His plan and perspective for them. Women are instructed and encouraged to be the godly wife the Lord intended them to be and to find true joy in their marriage, according to His Word and through the power of the Holy Spirit. 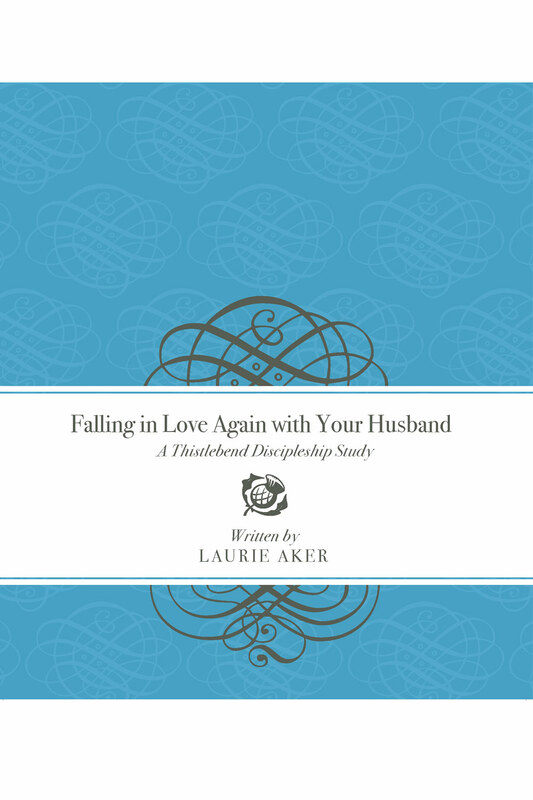 Many women who have taken this study have testified to their marriages being transformed. Nine weeks. Discipleship studies and devotionals for women and other materials! Access free sample audio/video lectures, print material, and much more! Connect with others in our classes, retreats, events, and more!